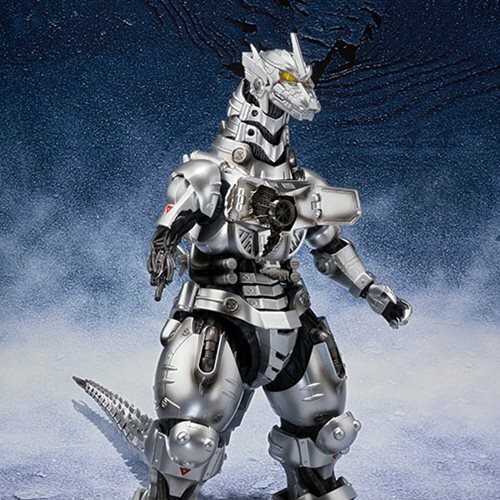 A perfect portrayal of Mechagodzilla as seen in 2002's Godzilla vs Mechagodzilla and 2003's Godzilla: Tokyo SOS. 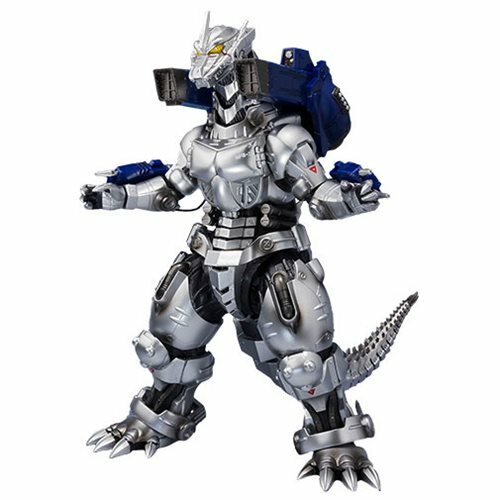 The Godzilla 2003 MFS-3 Mechagodzilla Type-3 Kiryu Shinagawa SH MonsterArts Action Figure P-Bandai Tamashii Exclusive features accurate coloring and weapons. This is a must have for your shelf to replicate its appearance during fierce battle scenes! 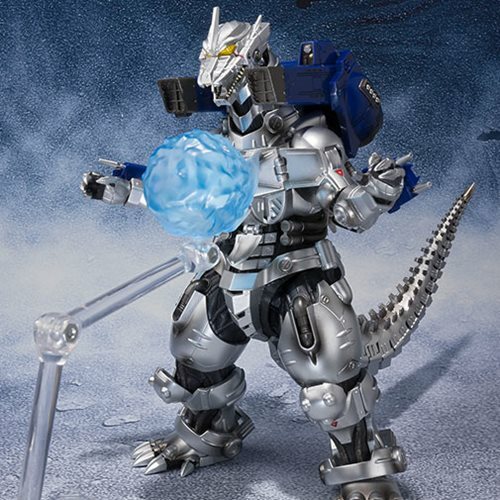 The figure includes a Maser Blade, a back unit, 2x optional heads, a damaged parts set, Absolute Zero effects, and an effect part stand. Measures about 6 3/10-inches tall.